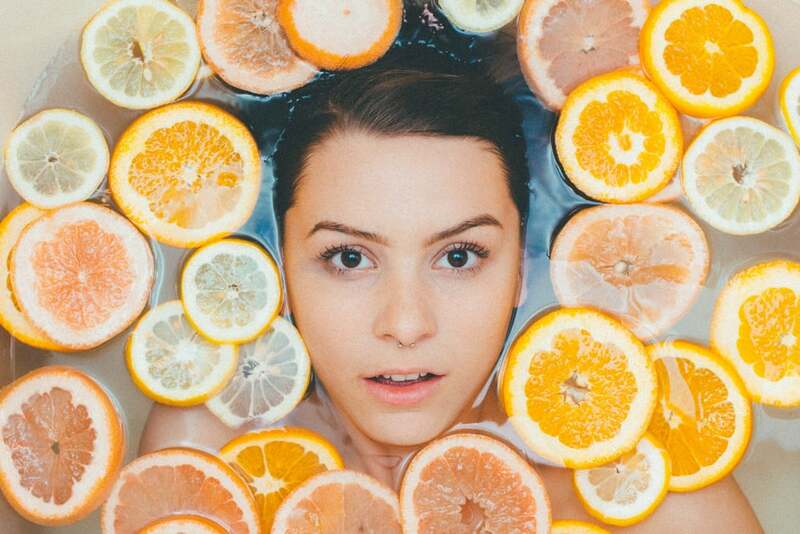 Should I Use Vitamin C in My Skincare? 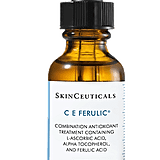 There is one addition to my skincare routine that has completely changed the texture, appearance, and overall health of my skin: vitamin C. The hero ingredient is rich in antioxidants, helps collagen production, and improves pigmentation. The best part is that it's such an easy product to incorporate into your routine. 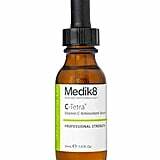 I simply apply Medik8 C-Tetra Serum ($69) in the morning before moisturizer and SPF. My skin is now more radiant and my stubborn acne scars are finally fading. I wanted to know more about how vitamin C can benefit everyone, so enlisted the help of Dr Saira Vasdev, co-founder and medical director of Skin and Sanctuary, who has a wealth of knowledge and information to share. So grab a hot beverage and get ready to learn about your new skincare BFF. It's going to be educational. What are the benefits of using vitamin C? "Vitamin C is a super antioxidant which protects the skin from environmental damage and prevents premature skin aging associated with UV rays and pollution. It penetrates deep into the skin's surface and acts to neutralize free radicals which are toxic to skin cells, as well as stimulating cell renewal and supporting new collagen synthesis. Visible benefits include brighter skin with improved texture, softening of fine lines and wrinkles, and increased firmness and elasticity." Dr. Saira also says that the vitamin is a powerful anti-inflammatory and can be a great addition for those with acne and rosacea. Additionally, when vitamin C is used with a broad spectrum SPF, it works in synergy to increase the power of the SPF, resulting in superior protection against atmospheric aging. 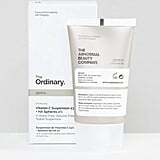 What types of products work best? Dr. Saira points out that not all vitamin C products were created equal. 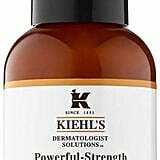 She recommends finding a vitamin C serum that has a "higher concentration of active ingredients and smaller molecules which are able to penetrate deeper into the skin." She says that "it's imperative to seek out stabilized preparations of vitamin C, as unstabilized forms oxidize rapidly and when applied to the skin can cause irritation and actually be harmful to your skin. L-Ascorbic acid is the purest form of vitamin C and if formulated to a high standard, provides superior antioxidant defense to its derivatives. Always buy products which are packaged in bottles which protect the product from sunlight. This prevents premature oxidization of the serum and prolongs its shelf-life." Who should be using vitamin C? The ideal age to start introducing vitamin C is your early 20s according to Dr Saira, but people of all ages can benefit from using it. 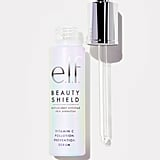 It should be used in the morning after cleansing and should be followed by a high factor broad spectrum SPF to double up the damage defense. Dr Saira says that vitamin C should be seen as a skin care essential. Whether you want to prevent the onset of premature aging, reduce skin inflammation associated with acne or rosacea, or have mature skin with aging concerns. It's an all round skincare hero. We're sold. Is there anything to be cautious of when using vitamin C? Dr Saira has some wise words when it comes to precautions, so listen up. 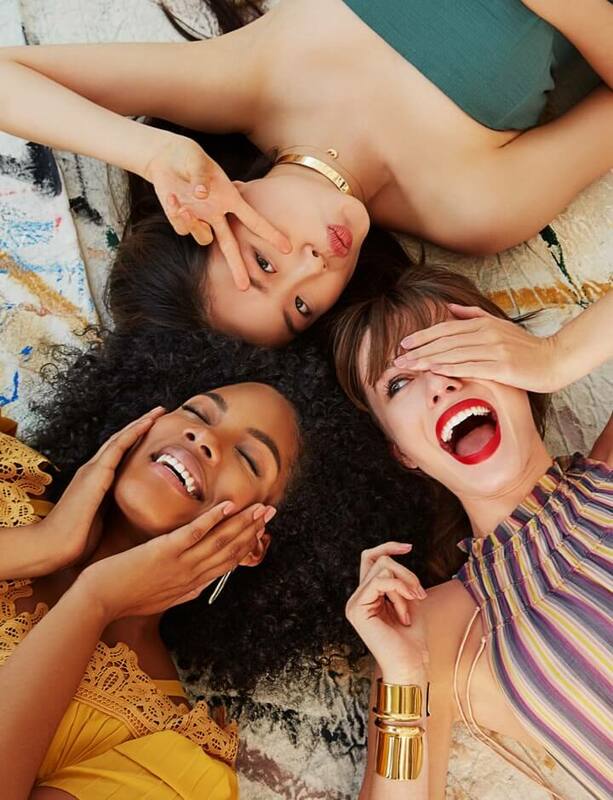 "L-ascorbic acid is an exfoliating acid and without use of a high factor broad spectrum SPF, it can increase photosensitivity rendering the skin vulnerable to inflammation and sun damage. If undergoing ablative skin treatments such as chemical peels or laser, it may be appropriate to take a short break from active products such as vitamin C or retinol to allow the skin's barrier to repair. 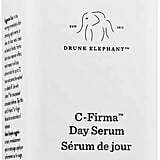 In general vitamin C serums appear as champagne or light straw-colored liquids. If your product has a brownish discoloration then discontinue use immediately. This suggests that the vitamin C has oxidized and can be harmful if applied to the skin." Dr. Saira also notes that vitamin C comes in four different concentrations so it is important to select the right one for your skin. Five percent is ideal for use on the delicate eye area. Ten percent is for dry or sensitive skin. Fifteen percent is the most commonly used preparation and is generally suitable for all skin types. 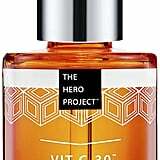 Twenty percent provides the highest concentration of vitamin C and is used for advanced photo-aging concerns or thicker skin types including male skin.